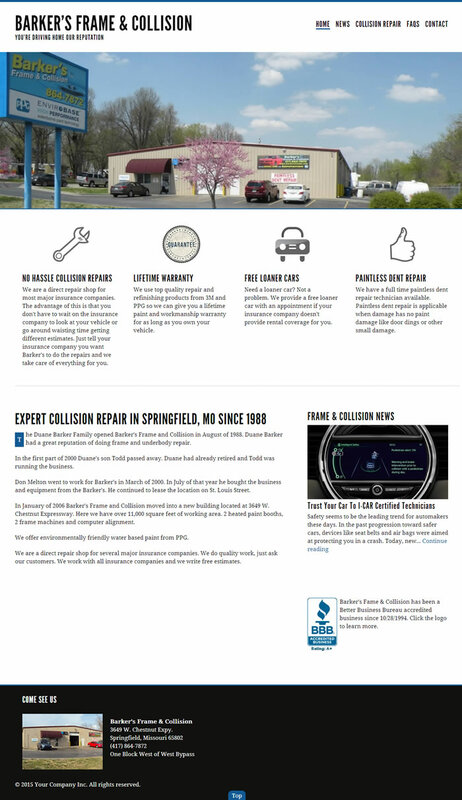 Barker's Frame & Collision has served the Springfield, MO area since 1988. Over the years they have earned the reputation of doing top quality frame and underbody repair. It was a pleasure to work with Don and his team to create a simple but effective new mobile ready site. 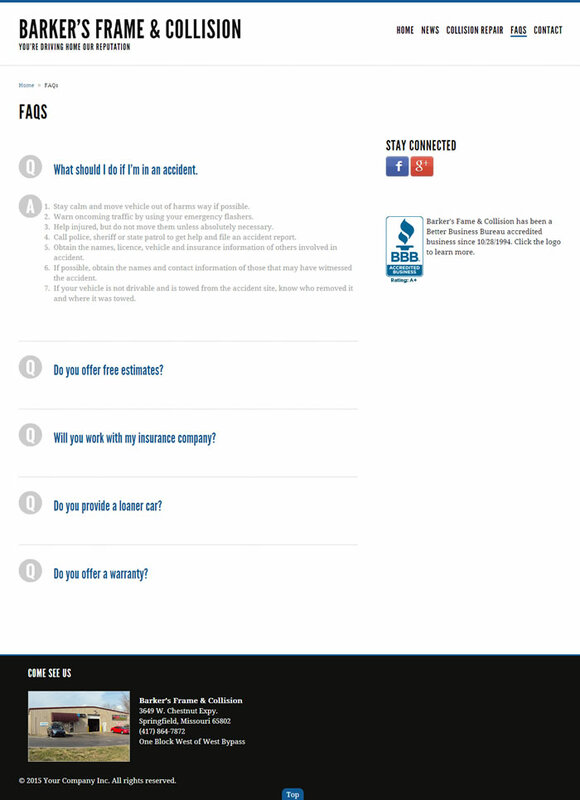 The new site is responsive which ensures that visitors view an optimized version of the site no matter what device they are using.